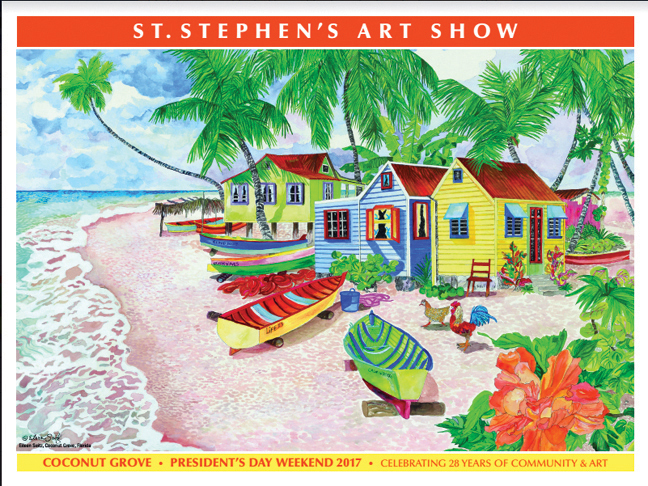 Join us for the St. Stephens Art Festival, Presidents’ Day Weekend February 18th – 20th, 2017. 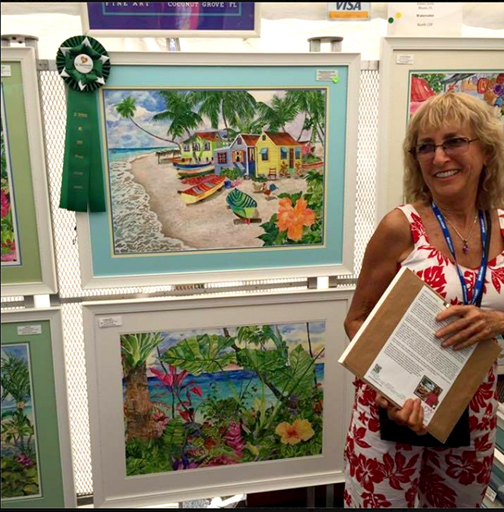 Experience and buy from over 160 national and international artists situated in the heart of Coconut Grove during Grove Arts Festival Weekend. Two entrances off of McFarlane Road and Main Highway allow access to the oasis of art and the shady oak trees of St. Stephens Episcopal Church and Day School. Only three dollars ($3) for adults, kids 12 and under are free. Check out the the hands-on “Art 4 kids” zone too, a huge new addition to last years show. Candle making, sand art, painting, spin art and Haitian coloring mural. Each $10 proceed will fund missions trips of the St. Stephens Youth Group to serve our global community. Collectors poster this year is by Eileen Seitz, a local Miami artist. Please support the show and purchase the poster or a t-shirt on your way home. Stroll and enjoy our title sponsor Becks beer, Goose Island Craft, Copa Wines, our famous Food Court, signature niche vendors and award winning artists. Be a part of where ART IS IN THE HEART for over 28 years.